Below you can view all the homes for sale in the Sunset Bluffs subdivision located in Fuquay Varina North Carolina. Listings in Sunset Bluffs are updated daily from data we receive from the Raleigh multiple listing service. To learn more about any of these homes or to receive custom notifications when a new property is listed for sale in Sunset Bluffs, give us a call at 919-213-9465. 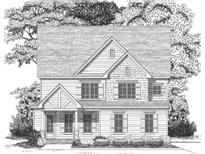 GREAT floorplan with all the custom finishes you have come to love from one of the areas BEST! MLS#2250384. 4392. Screened in porch and fenced in backyard. MLS#2250160. 4239. Hurry & you can make the Selections! MLS#2250247. 4392. Home entered at framing, hurry while you can make selections. MLS#2249818. 4392. Home is entered at permits so that you can still customize and make interior selections and make this your home. MLS#2248741. 4392. Hurry and you can make the Selections! MLS#2248742. 4392. *Pictures are of similar model and are for illustrative purposes. MLS#2248714. 4392. The Onslow will be complete Mid Summer! MLS#2247952. 4392. Hurry and you can make the Selections! MLS#2247124. 4392. Home entered at framing before selections have been completed, price may change. Hurry and make design selections. MLS#2246778. 4392. * See on-site agent for information or an appointment MLS#2242198. 4392. * See on-site agent for information or an appointment MLS#2242062. 4392. * See on-site agent for information or an appointment MLS#2242097. 4392. Pre-Sale Go Floorplan. Elevation A. MLS#2242084. 4392. This plan has plenty of room to stretch your legs. Move in Ready in August! MLS#2241597. 4392. The second floor includes two additional bedrooms, and, as seems to be the theme with this plan, the largest laundry and bonus rooms of the collection. MLS#2241623. 4392. It’s up to you in the Go new home floor plan available in Sunset Bluffs. MLS#2241641. 4392. *Pictures are of similar model & for illustrative purposes. See onsite agent MLS#2241658. 4392. Just a 5-minute walk to Bass Lake! MLS#2240879. 3639.